Hostel Napoleon ... 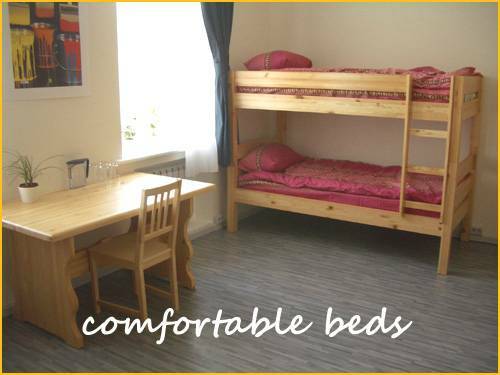 The Hostel is verry good, the staff are friendly and help with everything. If a came back some day to Moscow, I´ll stay again. 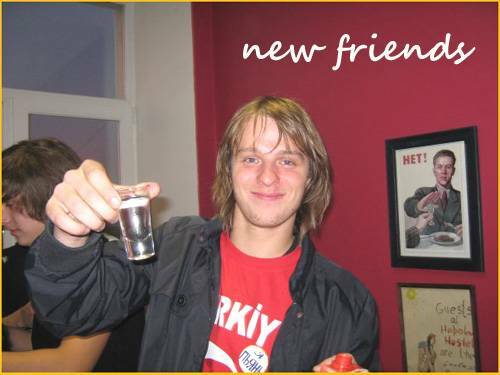 VOTED NO 1 HOSTEL IN RUSSIA 2007!! 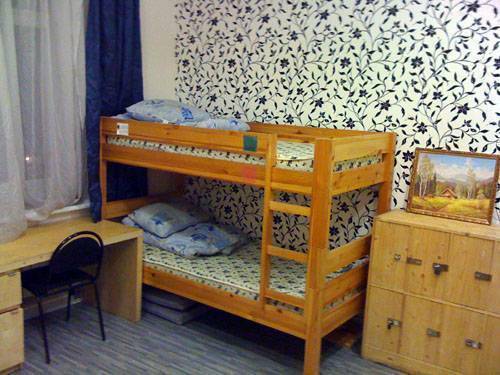 Napoleon Hostel is superbly located in the very heart of Moscow, in the historical and cultural quarter, surrounded by cobbled alleyways, old merchant houses and colourful orthodox churches. Our friendly multi-lingual staff are available 24 hours a day to assist you with any of your travel needs. We can advise on the best places to visit and can book onward travel tickets for you. Moscow's most famous theatres, galleries and museums are practically on our doorstep. Walking distance to Red Square and The Kremlin is just 5 minutes. Towels, linen and taxes are included; free internet and free wi-fi access, cosy living room, small bar, kitchen, full laundry service and summer garden. We offer a complete range of services, including full visa support and visa registration. 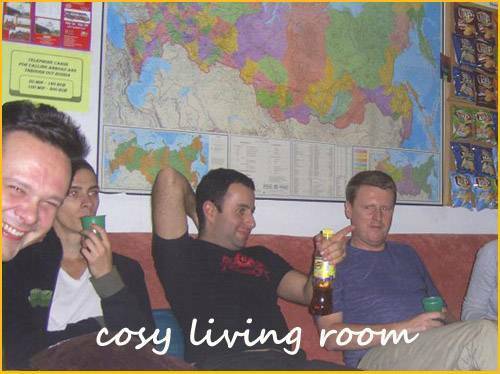 VOTED NO 1 HOSTEL IN RUSSIA 2007!! We are located in a pre-revolutionary building, on the same street Napoleon stayed when he invaded Moscow in 1812. The area is quiet and residential and is interesting to stroll around. The Chistye Prudy Ponds and Kitai Gorod gardens are also close by. The area also boasts some of the best bars, cheap restaurants, and local shops to be found in Moscow. We are located at metro station KITAI GOROD. At the metro station Kitai Gorod platform between the trains, look for the sign that says 'Maroseyka'' (in Russian Letters it looks like this ''MAROSENKA''). The sign is in the middle of the platform hanging from the ceiling and is quite small. Follow this sign toward Maroseyka Street and exit the metro station taking the escalators. At the top of the escalators walk through the glass doors and turn RIGHT, here you will enter into an underground passage with many different small shops. Walk all the way to the end of the passage and take the stairs to your left. Now you will be above ground. Walk forward from the stairs 100 meters up Maroseyka Street on the left hand side. Walk past the Old Orange Orthodox Church and take the first left street where you see a perfume shop with a huge plasma tv on it, this street is called Bolshoi Zlatoustinskiy Street. Walk down this street for 20 meters, then take the next right turning called Maly Zlatoustinskiy Street. Walk for 60 meters down this street and you will see our sign outside Dom 2 (House 2.) Enter the stairs and we are on the 4th Floor. The total walk from the metro is 2 minutes. Nearest airport: We are 45-60 minutes by transport from all airports.